According to the research, iPhone 7 has been a world’s best-shipping smartphone in 3Q17 when Apple managed to sell 13 million items. iPhone 6S is in the second place, followed by Samsung Galaxy J2 Prime in the third place, then fourth and fifth place is taken by Oppo smartphones. iPhone 8 is not included in the top 5 chart. Apple shipped 46.7 million smartphones in Q3 2017. The new iPhone 8 and 8 Plus accounted for 11.8 million of these. This falls well short of its predecessor, the iPhone 7 line, which topped 14 million in its first quarter. But while Apple shipped 5.4 million units of the iPhone 8, it shipped 6.3 million of the larger iPhone 8 Plus. This makes the iPhone 8 Plus the first iPhone Plus model to out-ship its smaller sibling in a single quarter. Still, there are few things to remember here. 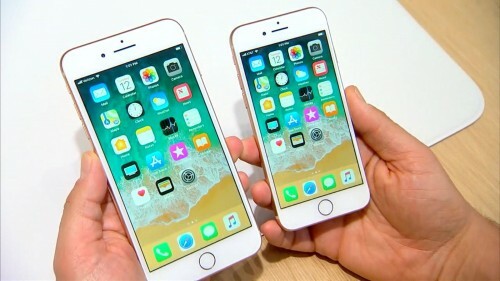 After the release of iPhone 8 and 8 Plus older models became significantly cheaper. Those who didn’t want to spend a lot of money on the new models opted for cheaper and older that are still good after several years. This very fact helped older models top the list of shipments.